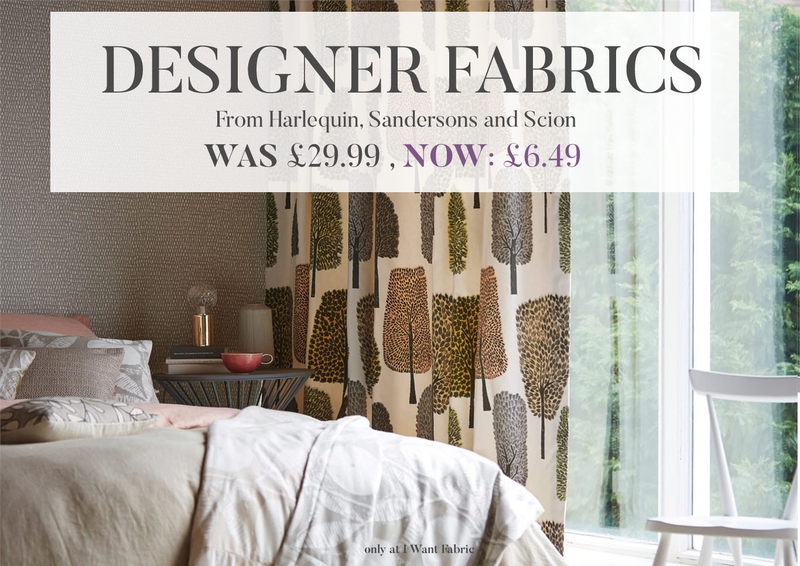 Designer fabrics from Sandersons, Harequin and Scion at bargain prices. Down from £29.99 per metre to £6.49 per metre! These vibrant and boisterous patterns are the perfect new addition to any modern home, just in time for Spring! With bright floral designs and block geometric designs- offering a variety of style - this collection creates a characterful look about the house.